Earlier today, Google has announced to shutdown its Goo.gl URL shortener service. The goo.gl will stop working after April 2018 and existing users can use it for next 1 years. So, you should know other good URL shorteners to use after Goo.gl. In this article, I am listing best Goo.gl Alternative URL Shorteners to use and short your links to share on social media. URL shorteners create a short URL of a long URL. On websites like Twitter where character length matters, use of URL shorteners is recommended. Not just shortening, these services also offer tracking details like click, location of click and more. So, you can use it to measure your social media campaigns. Before you proceed to check the best Goo.gl Alternatives, you should not miss few of our previous articles on URL shorteners. Now let us have a look on the best Goo.gl alternatives to short URLs after the shutdown of Goo.gl. Bit.ly is one of the most popular URL shortener service available and one of the best Goo.gl alternate. You need to create an account to manage your links and using the service. Best thing about that it offers more data and better options that Goo.gl. In Bit.ly, you can customise your short links to look more interactive. You can also check top performing link and get click data in better way. This service was launched back in 2009 and got much popularity on Twitter. If you do not want to create account, you can still short the links but having an account gives you analytics data and features like custom short URLs. Tiny.cc is also a free URL shortener service similar to Goo.gl. It also allows users to customise the short URL and enable the log for checking click stats. It allows you to create a free account for managing your links and check click metrics. TonyURL is no nonsense URL shorter service and that’s it. It allows you to crate short URL of a long URL. It does not ask you to create account, so there is no option to check the analytics. The good thing is that you have option choose the alias. So, you can customise the short URL if you want. It also offers a browser tool bar for creating short link of current web page without opening the TinyURL website. The Bit.do is also a similar kind of URL shortener service for creating short links of a link URL. You can also customise the short link if you want. Once it creates the short URL, you get two URLs. One is the short URL and other one is the link to access the traffic stats of that short URL. This is simple URL shortener service and does not ask you to crate an account. The is.gd is also a siple URL shortener serve for creating short URLs. It allows you to crate custom Short URLs. Have a look on options link just below the text box. There is no option to create account, still you can access the click statistics. If you enable the statistics option, it will give you a link to access click data of that specific short URL. The overall working on this service is exactly same that we saw in Bit.do. Polr is an Opensource modern URL shorter script that you can use to host your own URL shortener with your own branded URLs. While you can do the same on Bit.ly but Polr gives you control your your short URLs in better way. It also has the option to customise the short URLs. You can also check the click metrics by creating an account. There is also a powerful API. So, you can also use Polr in any of your application from core level. 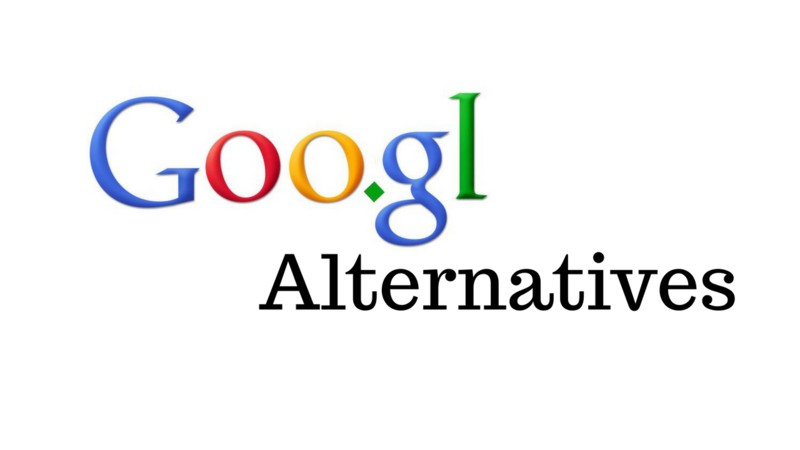 Now you know best Goo.gl alternatives to short URLs. Ow.ly was also a good option by Hootsuit, but the company has stopped offering it as a separate link shortener service. Bit.y is the most popular but other URL shortener services are also good. I always preferred goo.gl even if it lacks options to customize the short URL, search or tagging kind of features. It is because that was simple and easy to use. I also never thought for using too many features just for URL shorteners. Now I have to move on, and you also have to if you were regular use of goo.gl url shortener. I hope you found this article good. Do not forget to share this with your friends. If you know any such good URL shortener that can be a good alternate of goo.gl, do not forget to tell us about that in the comment.